PKI (public-key infrastructure) enables the secure exchange of data over otherwise unsecured media, such as the Internet. PKI is the underlying cryptographic security mechanism for digital certificates and certificate directories, which are used to authenticate a message sender. 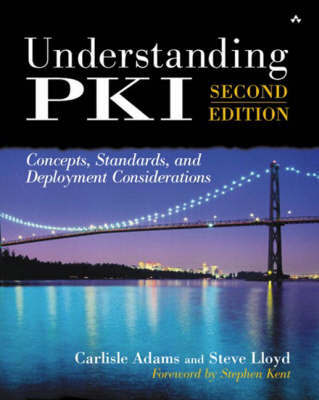 Because PKI is the standard for authenticating commercial electronic transactions, Understanding PKI, Second Edition, provides network and security architects with the tools they need to grasp each phase of the key/certificate life cycle, including generation, publication, deployment, and recovery.